StoryWorld’s speakers are successful veterans of the film, publishing, and game development industries who have shepherded successful projects across multiple platforms. They’ll join us to share their expertise and give you the tools to create profitable cross-platform collaborations of your own. Check back often to view our growing list of expert speakers. A self proclaimed Transmedia enthusiast, April has a unique background in film, publishing, new media, and Transmedia. Primarily invested in the relationship between intellectual properties, fandom phenomena and technology convergence, she started covering the Transmedia landscape out of Los Angeles since 2009 after a year of falling in love with the emerging Transmedia movement. Consequently she became the Director of Content Curation for Transmedia LA in 2011. In the process she created the Transmedia Toolkit Wiki and became the Story Producer and Project Manager for Transmedia LA’s first ARG, The Miracle Mile Paradox. Original from Panama, and bilingual in Spanish and English, April was a FIND Project:Involve Fellow for 2007, and a winner of the Writer’s Arc 2006 Screenwriting Program with the same IP that got her shortlisted for the 2006 Sundance Screenwriter Labs. Passionate about IP and content creation, April is excited about new patterns of innovation, interactive design, emerging interfaces, and new media strategies that will shape the future of entertainment world wide. Ivan Askwith is Senior Director of Digital Media at Lucasfilm, where he oversees strategic and creative direction for the wide range of online, mobile, social and cross-platform initiatives that make up the digital presence of Star Wars, Lucasfilm and the company's other properties. Prior to joining Lucasfilm, Ivan was the Director of Strategy at Big Spaceship, an award-winning digital agency in Brooklyn, NY, where he led efforts to develop immersive digital experiences and presences for clients ranging from Google and Apple to Sony Pictures and NBC Universal. Ivan is also a founding member and consulting advisor to MIT's Convergence Culture Consortium, with a particular focus on transmedia development and cross-platform narratives. As a graduate student at MIT, his work focused on the rise of transmedia strategies for building audience engagement with primetime television series, as well as the creative and commercial applications of alternate reality games. Ivan has published chapters on audience behavior and franchise development in numerous books and encyclopedias, and appears as a frequent speaker on digital strategy, transmedia development, and online communities at both academic and business conferences, including ad:tech, CAT, Digital Hollywood, NAB, SXSW and more. David Austin has over 28 years of extensive consumer product, management and corporate development experience as well as acquiring a wealth of intellectual property, products and teams. Prior to coming to Turner Broadcasting he was a Senior Director at Apple Inc for two stints totaling over 17 years. In between tours he co-founded a startup and was a senior associate at a boutique VC. Since leaving Apple in 2009 he has been an active investor, advisor, and board member to many startups. David has a BS in Math and Computer Science and holds three patents. Jim is a game designer, digital strategist and teacher. He is the co-founder of Awkward Hug a non-traditional game company that makes games in the awkward space between the digital and the real-world. Awkward Hug's most recent game, Socks, Inc. is a familyfriendly game played online through real-world sock puppet avatars. He is also works as strategist at Undercurrent where he has advised clients like Ford, GE, and Pepsi in digital mechanics. As President of Walt Disney Studios Motion Picture Production, Sean Bailey oversees all aspects of live-action development, film production and physical production for Walt Disney Pictures. Upcoming titles include Tim Burton’s Frankenweenie; Oz The Great and Powerful, directed by Sam Raimi and starring James Franco, Rachel Weisz, Mila Kunis and Michelle Williams; and The Lone Ranger, starring Johnny Depp, directed by Gore Verbinski and produced by Jerry Bruckheimer. Prior to joining The Walt Disney Studios in 2010, Bailey produced Disney’s TRON: Legacy, directed by Joseph Kosinski, starring Jeff Bridges, Garrett Hedlund and Olivia Wilde, developing it in tandem with other media ranging from the Grammy-nominated, RIAA Gold-certified soundtrack by Daft Punk to a multi-platform video game and an upcoming Disney XD television series. In 2008, he founded Idealogy, Inc., with a focus on the evolution and future of creative content, developing high-quality stories that can live across media. Bailey worked as a writer-producer under an exclusive deal with ABC Studios from 2004 to 2008, during which time he continued in his capacity as chairman and board member of LivePlanet, the production company he co-founded in 2000 with Ben Affleck, Matt Damon and Chris Moore. While at LivePlanet, he executive-produced the innovative LivePlanet/HBO/Miramax series Project Greenlight, nominated for three Emmy Awards, and co-created the LivePlanet/ABC series Push, Nevada with Affleck. A 20-year industry veteran, Bailey has created, packaged and developed film, television and new media concepts for Walt Disney Pictures, Miramax, 20th Century Fox, Columbia Pictures, DreamWorks, New Line Cinema, Paramount, Sony Pictures, Universal Pictures, Warner Bros., all major television networks, MSN and Yahoo. His feature film producing credits include Miramax’s Gone, Baby, Gone, directed by Ben Affleck and starring Casey Affleck, Ed Harris, Morgan Freeman and Amy Ryan; Matchstick Men, directed by Ridley Scott and starring Nicolas Cage; The Core; and Best Laid Plans. His screenplay Solace, co-written by Ted Griffin, is in preproduction at New Line Cinema. Bailey’s first job as a producer in the entertainment industry was developing the game show Debt for Buena Vista Television, which aired on Lifetime from 1996-1998. Bailey is a member of the Sundance Institute Board of Trustees. Chip Brown is Senior Vice President and Publisher at Zondervan/HarperCollins Publishing House, and has 20+ years experience in producing, publishing and marketing for television, film, Internet, live theatre, radio, animation, music and graphic design, in both creative and business roles. He has also served at The Walt Disney Studios, Lightsource.com on Broadcast.com and on Yahoo!, Gaylord Entertainment. Follow him on Twitter @chipbrown. Christian Brown has been writing interactive stories for over twenty years. In the last two years he started a business and began charging for the experience that he used to craft for his friends, for free. Instead of suffering an immediate drop in attendance (which he frankly feared) he started turning a profit and is now expanding his audience monthly. He'll discuss how to present an immediate, interactive experience, how to keep it going, and how to expand it. Caitlin Burns is Transmedia Producer with Starlight Runner Entertainment, she creates and influences fictional universes that are familiar to millions worldwide. Building on a background of Theatrical and Event Production she has worked on Pirates of the Caribbean, and Tron Legacy for Disney, James Cameron’s Avatar, Halo for Microsoft, The Happiness Factory for Coca-Cola, Men in Black for Sony Pictures and Transformers for Hasbro. She has also worked with Showtime, Nickelodeon, Scholastic, and Wieden+Kennedy. She is seated on the Board of the Producer’s Guild of America’s New Media Council and the Advisory Board the Tribeca New Media Fund. Jon M. Chu (32) is a feature film writer, director and producer. His dance films Step Up 2 The Streets and Step Up 3D have grossed over 300 million dollars worldwide and his film Justin Bieber: Never Say Never has become the highest grossing concert film of all time. Combining old school story telling with new school technology, Chu has managed to find a style that has been recognized as“innovative and ambitious” by Vanity Fair. Chu is currently in post production on his next film G.I. Joe: Retaliation which stars Dwayne “The Rock” Johnson, Channing Tatum and Bruce Willis. Besides his feature films, Chu is active in the online entertainment world. He is the writer and creator of The Legion of Extraordinary Dancers, an original web series that the New York Times has called “groundbreaking” and AdAge decribed as “by a wide margin, the most beautifully filmed, elaborately staged web series in the history of the medium”. With over 20 million hits on his YouTube channel and half a million followers on twitter, Chu’s success in the online space was recognized with the 2011 Digital Pioneer Emmy Award as well as AdAge’s Vanguard Award. His current digital endeavor is creating an online network for dance driven content called DS2DIO(D-STUDIO) through the YouTube Premium Partners initiative. Brian Clark is the Founder and CEO of GMD Studios (www.gmdstudios.com), a 17-year-old experience design lab based in Orlando and New York City engaged in both commercial and entrepreneurial media innovations. Cynthia Cleveland, BroadLit CEO,is a recognized leader in brand and new business development having conceived, developed and launched new businesses and hundreds of internationally known brands. She was previously Worldwide President of Universal Studios’ Consumer Products Group and Games Division, she led the licensing, merchandising, and promotional efforts for all the major studio brands, established alliances with promotional partners and mass market retail partners and launched the Games Division. She was CEO/President of the Imaginarium retail chain, President of Teleflora, and held executive marketing positions at Mattel and Carnation (Nestle’s). Ms. Cleveland is involved in leadership for the Young President’s Association (YPO). Mathew Cullen is Co-Founder and Chief Creative Officer of Mirada. Throughout his career as a visual storyteller, he has sought to push the boundaries of creativity through merging design, narrative tradition, and technological innovation. Mathew has directed and produced hundreds of commercials and music videos, including global campaigns for IBM, Google, Nike, Audi and artists ranging from Green Day to Jay-Z. He won two consecutive Grammy Awards for Weezerʼs “Pork and Beans,” the most blogged-about YouTube video of 2008, and Black Eyed Peasʼ “Boom Boom Pow”. He introduced Adele to the world by directing her debut video "Chasing Pavements," and established Katy Perry's sugary brand with the pop hit "California Gurls." Rolling Stone named him to its annual “Hot List” and Wired called him one of six directors who are making music videos cool again. Cullen's work has been inducted into the Museum of Modern Art on a dozen occasions. He is currently attached to direct and produce a supernatural thriller at Dreamworks and is producing films at Warner Brothers and Paramount. At age 23, Mathew founded Motion Theory, and has since overseen the production of over 300 projects. Motion Theory was profiled in Fast Company as being one of the most innovative companies in the industry. In December 2010, Mathew partnered with renowned filmmaker Guillermo del Toro, cinematographer Guillermo Navarro, and executive producer Javier Jimenez to launch Mirada, a studio designed for storytellers. Mirada is equal parts design studio, visual effects & animation facility, creative and technology incubator, development and production company. Mathew has spoken at conferences and panels for Harvard Business School, USC, UCLA, the Sundance Film Festival, and at programs for Los Angeles youth..
Nancy Cushing-Jones, Chief Publishing and Transmedia Officer, currently a Broadthink partner, is a transmedia, publishing and videogame expert who has launched many bestselling programs in all genres and for all ages from children to adults. Previously, she was the first female president of a Universal Studios division, when she ran their worldwide publishing and third-party videogame licensing division. She was also Executive Vice President of Universal’s Consumer Products Group for which she acted as liaison between the Group and key producers, directors and performers, including Steven Spielberg, Ron Howard, and Michael Mann. Drew Davidson is a professor, producer and player of interactive media. His background spans academic, industry and professional worlds and he is interested in stories across texts, comics, games and other media. He is the Director of ETC-Pittsburgh, and the Acting Director of the Entertainment Technology Center at Carnegie Mellon University and the Founding Editor of ETC Press and its Well Played series and journal. As AFI's Senior Vice President for Media and Technology, Nick DeMartino created partnerships with Apple, IBM, Microsoft, Intel, AOL, Adobe, as well as most of the Hollywood studios, dozens of television networks, and hundreds of start-ups. He influenced thousands of creative professionals by launching innovative programs at the frontier of digital production, interactive media & new forms of storytelling, including the AFI Digital Content Lab, the AFI Enhanced Television Workshop, the AFI-Apple Computer Center, the AFI Computer Media Salons, the AFI Screen Education Center, the California Digital Arts Workshop and Networked Entertainment World. He was #3 on the PGA/Hollywood Reporter’s list of Digital 50 and twice named among the most influential in broadband by the LA Business Journal. He produced AFI’s award-winning website, the first to stream Hollywood content on the web (1996), the first to share a library of clips from the top 100 movies of all times (1997), and clips from AFI's own television productions and events, among other innovations. DeMartino supervised the creation of AFI’s YouTube and social media strategies and online learning sites in partnership with Columbia University (Fathom.com), Discovery Communications (Lights, Camera, Education! ), and the U.S. Department of Education (ScreenNation). Prior to AFI DeMartino was a journalist, publisher, independent filmmaker, advertising and marketing executive, chronicler of public television, indie filmmaking. He is the author of KEEPING PACE WITH THE NEW TELEVISION and the principal writer of A PUBLIC TRUST: THE REPORT OF THE CARNEGIE COMMISSION ON THE FUTURE OF PUBLIC BROADCASTING. He was producer of a string of award-winning documentaries for public television in the 70s, including SITCOM: The Adventures of Garry Marshall and NUCLEAR POWER: The Public Debate. He was awarded the first Indie Award from the AIVF in 1976. His work for Carnegie inspired U.S. indies to create their own entity, ITVS. As Vice President of PBS KIDS Interactive, Sara DeWitt oversees day-to-day development of PBS’ Internet sites for kids and families, including the Webby-award winning pbskids.org. DeWitt has led aggressive strategies to build connected and immersive experiences on PBS’ children’s Web sites. This includes the preschool (pbskids.org) and early elementary school age (pbskidsgo.org) Web sites, which now serve nearly 85 million video streams monthly, and offer more than 500 games and activities. PBS’s children’s sites reach an average of 9 million unique visitors per month. DeWitt has also been instrumental in launching PBS KIDS Island (pbskids.org/read) – a literacy-based Web site for families and teachers that is part of PBS KIDS Raising Readers, a project funded by the U.S. Department of Education’s Ready To Learn grant to help children ages 2-8 from low-income families learn to read. DeWitt also assists in the development of content on new platforms, including PBS KIDS iPhone apps (pbskids.org/mobile) and PBS KIDS Interactive White Board games (pbskids.org/whiteboard). Flint Dille is a living embodiment of Transmedia. His career started by turning toys into TV Shows with G1 Transformers, G.I. Joe, Inhumanoids and Visionaries. He has designed games with Gary Gygax and written movies for Steven Spielberg. Flint has sold game design documents as feature films (Venom: Dimension 2006) and Agent In Place (Lionsgate 2010). His Agent 13 novels, are in feature film development. Flint directed the Interactive Movie Terror T.R.A.X., Track of the Vampyre which became a television pilot for Fox as well as Dragonstrike, one of the first hybrid film projects. He has a degree in Ancient History from U.C. Berkeley and an MFA from USC. Stephen Erin Dinehart is an award-winning interactive narrative designer, writer and artist, currently acting as Chief Wizard for independent game developer Narrware. Dinehart has consulted and worked with Warner Brothers, Activision, Zenimax, THQ and more, on franchises ranging from The Marvel Universe, Constantine, Batman, F.E.A.R., and The Lord of the Rings, to Dawn of War and Company of Heroes. At USC’s School of Cinematic Arts he also designed and produced the hit independent games Cloud and Journey of Jin, while on scholarship from Electronic Arts. A leading expert in transmedia storytelling, his work broke early ground in 2006 and has since gone on to inspire a movement. Noam Dromi is a marketing executive, digital strategist and writer/producer specializing in transmedia content development for corporations, brands & entertainment companies. He currently serves as President of New Medici, a media and lifestyle social engagement agency. Mr. Dromi previously served as the Senior Vice President of Content Development for Mandalay Branded Entertainment (MBE), the marketing and brand consultancy founded by former Sony Pictures Chairman/CEO Peter Guber. Noam is also the co-founder of the production company NoCo Media Group & has produced the films A Place to Live & Mad Skills. He co-wrote the 2011 Warner Bros/Alcon Entertainment film Dolphin Tale starring Morgan Freeman, Harry Connick Jr & Ashley Judd. Kathy Franklin is President, Franchise Development at James Cameron and Jon Landau’s Lightstorm Entertainment. She oversees global brand strategy and management for the Avatar franchise, partnering with 20th Century Fox to expand the reach and impact of Avatar - and its two sequels in development - across all categories and platforms. Prior to joining Lightstorm in 2011, Kathy was Vice President of Global Franchise Development for Disney Consumer Products, leading brand management of the Disney Princess, Disney Fairies, Cars and Toy Story franchises. She earlier served as Vice President of Marketing and Communications for Disney’s corporate citizenship division and was responsible for Disney’s domestic and international relationships with its signature children’s charities. She directed cause-related marketing campaigns and other charitable programs tied to specific Disney business units, as well as all related marketing and public relations strategies. Before coming to Disney in 1998, Kathy held a diverse range of positions in finance, education and design. David Freeman is the Co-Head of the Brand Coverage group at Creative Artists Agency (CAA), an entertainment and sports agency based in Los Angeles with offices in New York, London, Nashville, and Beijing. Freeman is based in the Los Angeles office and works with colleagues across the agency to connect clients with brand partners and advertisers to create original entertainment content and multi-platform branding initiatives. Additionally, Freeman helps lead the agency’s Digital Content Packaging team, guiding clients through the ever-evolving digital content marketplace to create and secure distribution, brand partnerships, and integrated marketing initiatives. Prior to joining CAA, Freeman served as the General Manager of MATTER, Edelman Sports and Entertainment Marketing. Freeman, who co-founded MATTER in 2003 to forge and develop marketing partnerships for brands, entertainment companies, and content creators, was instrumental in expanding MATTER into new markets, driving new business, and leading the creation of its digital content offering. MATTER was acquired by Edelman in 2006. Prior to founding MATTER, Freeman led a joint venture between OMD and Aaron Walton Entertainment, two leading media and entertainment companies within Omnicom. Previously, he held positions with CNB Entertainment (CNBE), an entertainment finance and development company, and NFL Properties in its Corporate Sponsorship Sales and Marketing Division. Throughout his career, Freeman has worked with an array of companies in the branded entertainment space including Clorox, Amtrak, Wrigley's, Brita, Shell, Fresh Step, and Nissan and has brokered major brand partnerships with The Biggest Loser, Top Chef, The Sundance Film Festival, NBCU Digital Studio, Disney, and NASCAR. Freeman graduated from Emory University with a degree in Political Science. Ian Ginn is a creative producer, interactive storyteller and educator. Ian Ginn is a natural 360 storyteller, with more than 20 years experience pioneering in the (digital) media and entertainment industries, in interactive media, open-source software, innovation projects for leading media and technology corporations, and producing feature films and television drama. He has been experimenting with transmedia narrative experiences since 2004, and over the last 36 months, research and development from his studio Hubbub Media has resulted in a series of prototypes and shorts, including one of 2011’s most talked-about transmedia experiences, the 4-week pilot for sci-fi thriller SALIGIA-7. Jeff Gomez is the world’s leading producer of transmedia entertainment properties. He is an expert at incubating new entertainment franchises, strategic planning and production for cross-platform implementation. As CEO of Starlight Runner Entertainment, Jeff leverages intellectual properties into global franchises that successfully navigate an array of media channels. Jeff has worked on such blockbuster universes as Disney's Pirates of the Caribbean, Microsoft's Halo and James Cameron's Avatar. He sits on the board of the Producers Guild of America East, as well as on the PGA New Media Council. Jeff has also recently joined the Advisory Council to Power to the Pixel. Georgina Goodlander is Web and Social Media Content Manager at the Smithsonian American Art Museum. She is responsible for developing and implementing the museum's strategy for online outreach through social media, email marketing, websites and other digital media. Goodlander has managed two alternate reality games at the museum, including the worlds-first, museum-based ARG, “Ghosts of a Chance” in 2008. She is also coordinator for the groundbreaking exhibition The Art of Video Games, which was on view at the museum from March 16 through September, 30, 2012. In 2009, Goodlander received the Smithsonian’s first annual Secretary’s Award for Excellence for Innovative Spirit. From 2006 to 2011, Goodlander served as the Interpretive Programs Manager of the museum’s Luce Foundation Center for American Art. The Luce Foundation Center is an innovative public space that was conceived as part of the museum’s extensive renovation, which was completed in 2006. She was responsible for all operations of the center, including developing a regular schedule of public programs, updating interpretative information, maintaining audiovisual installations and supervising staff. She oversaw the creation of an extensive audio tour as well as two innovative alternate reality games, Ghosts of a Chance and Pheon. From 2004 to 2006, she served as a project manager and research assistant during the development of the center. Goodlander earned a bachelor’s degree in Visual Communication (Illustration) from the Glasgow School of Art in Scotland (2001). She also spent a year in Songjiang, China teaching English (2002–2003). Carl Heath is a researcher and designer at The Interactive Institute in Sweden. He has designed Live Action Role Playing (LARP) games since the early 90s in genres ranging from fantasy and science fiction, to historical and modernistic drama. Among the works produced, of special note is the LARP version of Hamlet, produced in 1999 together with the Swedish National Theatre and the game OB7 in 2003 delving deep into the depths of Swedish cold war politics. Since 2003 Carl Heath works at the Gothenburg Region, where he has lead a team designing educational LARPs and games in other genres, such as alternate reality games, games for mobile learning environments, card- and boardgames etcetera. During these years he has produced a number of games for organizations such as the Swedish National Parliament, The European Parliament, The European Commission, The Council of Nordic Ministers, as well as several municipal and regional organizations in Sweden. Carl has taken an active part in game research, and has recently been a part of a research project studying online roleplaying games, researching issues on how to utilize design methodology and concepts from the field into other game and learning domains with vastly different affordances. A seasoned multi-platform producer, John and his company Bunnygraph Entertainment, work with writers and talent to create serialized formats for television, interactive/web and mobile platforms in what he calls “Storytelling through Advanced Content”. His current projects include the 85th Academy Awards, where he is under contract with the Disney ABC Television Group for a second year as Multi-platform Experience Lead overseeing production of all web, mobile and social media for Oscar.com. Additionally, John is Director of Digital Media for ONE GREAT NIGHT ON EARTH, a twelve-hour global concert event in 2013 providing charitable relief to flood and fire victims on the Australian continent. John’s 20 year career in entertainment includes experience as Manager of Primetime Programming at the FOX Broadcasting Company, where he creatively helped oversee series such as "Family Guy", James Cameron’s “Dark Angel”, and "That 70's Show". He is a veteran of the Branded Entertainment and Television Packaging Divisions of International Creative Management (ICM) and has produced television projects for Castle Rock Entertainment. He was recently elected Vice Chairman, New Media Council for the Producers Guild of America (PGA) and serves on the Executive Committee of the Interactive Media Peer Group, Academy of Television Arts & Sciences. In July 2012, John led a NAFF Master Class on Transmedia at the Pi-Fan Fantastic Film Festival in Pucheon, South Korea designed to introduce storytelling through advanced content and social media best practices to film students from across Asia. Originally from Chicago, John received his MFA in 1996 while a Producing Fellow at the American Film Institute, Center for Advanced film and Television Studies and is a graduate of the University of Arizona. John lives in Los Angeles and considers his three children his greatest productions. This is John’s second year serving on the Storyworld Conference Council. Amy Hennig is the creative director and writer of Sony Computer Entertainment’s acclaimed Uncharted game series (Uncharted: Drake’s Fortune, Uncharted 2: Among Thieves, and Uncharted 3: Drake’s Deception). With over twenty-three years of experience, Amy has been called one of the most influential women in the video game industry. Her work on the Uncharted series has earned a BAFTA award for Story and two WGA Writing Awards, in addition to numerous other industry accolades. Dan Hon is Global Interactive Creative Director for Nike at Wieden + Kennedy in Portland, OR, where he works on the intersection between storytelling, games, play and code. A rehabilitated lawyer, he’s worked for Mind Candy helping to build their first product, Perplex City, and co-founded Six to Start, an award-winning entertainment production company in 2007. His projects have won Best of Show, Best Experimental and Best Game at SXSW Interactive. He’s most known for being passionately for, and against, ARGs. He does not play World of Warcraft anymore. Eric Huang is a pop culture fan who is passionate about storytelling. His first ‘real job’ was as an assistant at Disney Publishing in LA, where he worked for six years in a variety of editorial roles. Eric moved to Melbourne in 2001 as managing editor at Penguin Australia. Three years later he became publisher at Aussie toy company Funtastic’s new book division. Eric now lives in London and is back at Penguin. He’s publishing director for Penguin’s Media and Entertainment division and is always on the look-out for creative partnerships to tell stories on traditional and new media platforms. Brian Seth Hurst is CEO of The Opportunity Management Company, a strategic consultancy driving the next generation of entertainment. Referred to as “the father of cross platform”, Hurst coined the term in 1998 as MD of Convergent Media, Pittard Sullivan, where he launched TV Guide as the first ever cross platform brand. Hurst's credo “go to where your audience lives” continues to transform the relationship of audiences to brands and programming. TOMC has assisted broadcast clients and content rights holders in extending their programming and building communities on new platforms. The company has a rich practice in the building of “multiplatform ecosystems” including multiplatform storytelling, Alternate Reality Games and the burgeoning field of Augmented Reality. Clients have included: Showtime, Lifetime, SVT (Swedish Pubic Television), New Zealand Trade & Enterprise, NBCUniversal, Intel, Les Mills Fitness and AOL as well as successful start-ups including McLean Masterworks, Nixle and Paltalk. Hurst was on the team at Pittard Sullivan as MD of Convergence that developed the original user experience for TiVo. He sits on the advisory boards of MobiTV, Zannel, Vwalls and Nixle. Hurst is currently a principal and at work on Tim Kring’s (creator of Heroes) project the “Conspiracy For Good” for which he created the terms “Social Benefit Storytelling” and “Social Benefit Marketing” to describe this new entertainment genre and the project’s impact. Hurst spent 10 years on the Board of the Academy of Television Arts & Sciences building the Primetime Emmy® Brand Strategy and serving in various positions including second vice chair. He served 3 terms on the Board of the Producers Guild of America, serving two terms as Chairman of the PGA’s New Media Council. Recipient of an Interactive TV Today Award for Leadership in Interactive Television, he was profiled in Emmy magazine as one of the 10 media executives leading the industry’s digital drive and was named two years running to the Hollywood Reporter/PGA Digital 50. Hurst was appointed Global Digital Ambassador for the International Academy of Television Arts & Sciences in 2009. He is currently host of the series “StoryCentric” at ITVT.com. I was born in Rome, Italy. I got a B.A. in Fine Arts then moved to US where I stayed until 2002. I worked as a producer/reporter covering US and Central America for RAI, the Italian national TV, and was the co-author and producer of TV series and live events, again for RAI. I got a master degree in Communication Arts (computer graphics) in 1987 and I was one of the pioneers of the web. Since then I was more and more involved in digital TV activities, initiating the RAI TV interactive/digital content factory in Italy and teaching Interactive storytelling. Today I am a PhD candidate & researcher; I am responsible for Crossmedia and Multiplatform activities at the European Broadcasting Union; and I coordinate and support the most interesting and innovative TV professionals of European Public Service Media (in Europe, public broadcasters are the leading TV players in almost every country) My aim is to create a call-to-action in order to shape the future of a socially responsible public service media. Stitch Media partner Evan Jones, is a two-time Emmy Award® winner whose innovative work on interactive content for primetime television, radio, web, mobile and games have established him as a pioneer in new genres of Alternate Reality Games, Locative Media and Interactive Documentary. the world at the Canadian Film Centre, the Australian Film, Television & Radio School and the University of Southern California with Dr. Henry Jenkins. As founder and CEO of Blacklight Transmedia, Kadison is responsible for the day-to-day management and strategic vision of the company, business development and strategic partnerships (including those with Random House, Seismic Games, and key Hollywood talent), oversees all film and television projects, and is an essential creative voice in the development and production of all of Blacklight’s intellectual property. Kadison previously served as a senior production executive at Fox Atomic, a production label of the major film studio 20th Century Fox, where he was responsible for the acquisition, development, and production of Atomic’s slate, including production deals with film talent including Denzel Washington, as well as Harry Potter director Chris Columbus. Prior to joining Fox, Kadison served as the Senior Vice President of Production for Gold Circle Films and was responsible for the acquisition, development and production of Gold Circle’s films, including the company’s first deals with Paramount Pictures and New Line Cinema as well as collaborations with Gore Verbinski, Natalie Portman, and Joel Schumacher. In addition to his duties at Blacklight, Kadison is currently working with the Sundance Institute on their Transmedia Storytelling Initiative and participates in the University of Southern California’s Mentorship Program. Kadison has served on numerous film festival juries and panels including the Writers Guild of America’s Transmedia Panel as well as the MIT Future Storytelling Media Lab. Deceptive title notwithstanding, Asa Kalama is a Creative Director for Walt Disney Imagineering, Research & Development. In this role, Kalama is responsible for creative applications of emergent technologies and the development of new experience paradigms. As advocate for Walt Disney Imagineering, Research & Development’s Narrative Experience Portfolio, his primary area of focus is interactive experience design with specific concentrations in Interactive Story-Telling and Role-Play. Peter Katz is an award-winning producer/innovator who has been featured in Mashable, Wired, and CNN’s The Screening Room. He has produced critically acclaimed feature films that have premiered at AFI Fest and the Rome Film Festival. Katz was a producer on Mortuary, which was helmed by legendary director Tobe Hooper (Texas Chainsaw Massacre and Poltergeist). His next feature was Pop Skull, directed by Adam Wingard (A Horrible Way to Die and You’re Next). Recently, he produced the short film Already Gone, starring Shawn Ashmore (X-Men) and Harry Shum Jr (Glee). This project is being adapted into a full-length movie. Katz is currently developing projects for film, TV, and the web. Peter also co-hosts Hollywood 2.0, a podcast covering transmedia storytelling, ARG, augmented reality, neurocinema, and beyond. Laurence was one of the first lawyers in the UK to advise on Internet law. He combines cutting-edge legal work with strategic and policy-related work in the field of copyright and online law. He advises a number of new entrants to digital markets seeking to harness cutting-edge technologies and innovative business models, as well as established brands and rights holders launching and exploiting existing and new channels and platforms in the digital space. Laurence is copyright adviser to the European Publishers Council. He was the lead author of their ‘Vision Document for the Future of Copyright. From December 2008 to August 2010, Laurie served as a member of the Copyright Expert Panel appointed by the UK Strategic Advisory Board for Intellectual Property Policy. Most recently, he contributed to the Hargreaves Review on Intellectual Property. Laurence advises and lectures regularly on digital media and e-commerce legal issues in Europe. He has worked closely on a number of key EU Directives, including the Copyright, Database and E-Commerce Directives. He also takes part regularly in copyright policy think tanks and roundtable discussions with policy makers and industry. Laurie is also a regular blogger on digital media law. Erika Kennair is Vice President, Scripted Development for Syfy where she is responsible for developing new original programming and talent for the channel. Kennair joined Syfy, a division of NBCUniversal, in 2008 as Director of Development, overseeing all creative aspects of original series such as Alphas, Stargate: Universe, Sanctuary among others and Syfy mini-series such as Alice and Neverland. In 2010 she was promoted to Vice President of Scripted Development and is currently shepherding the series project Defiance and the pilot project Rewind. Joining NBC Entertainment in 2006 as Manager, Entertainment Diversity Programs Kennair was responsible for identifying diverse writing talent. She created and oversaw the network’s competitive writing program, Writers on the Verge, an initiative aimed at developing and marketing new writers for placement on NBC series. She also worked on such diversity initiatives as The Director in Training Program and Comedy Shortcuts, and was an active member in then parent company General Electric’s Hispanic Forum. Erika has worked closely with the National Hispanic Media Coalition Writers’ Workshop and, in 2011, she was voted one of the Most Influential and Powerful Latinos in Media by the Imagen Foundation. In 2008, she was a participant in the NAMIC Leadership Development workshop at UCLA. Erika is Cuban-American and was born and raised in New Orleans. She graduated from Loyola University in New Orleans with a B.A. in Television Production. She then earned an M.F.A. in Screenwriting from Loyola Marymount University and was awarded a Humanitas Prize: the David Angell Fellowship in Comedy Writing. Brad King is one of six Emerging Media Fellows at Ball State University, where his research examines how emerging technologies are changing the ways we tell—and share—stories. Brad has worked for Condé Nast's WIRED magazine as well as its sister website, Wired News, covering the convergence of technology and culture. In 2002 he co-authored Dungeons and Dreamers, a book on the history of computer games, virtual worlds and their effects on American culture. In 2004, he was hired as the senior editor and producer for MIT's Technology Review. He’s currently on the advisory boards for South by Southwest Interactive and Carnegie Mellon’s ETC Press. A digital veteran of 20 years, Mike Knowlton has always pushed the boundaries of storytelling and technology. He is a recognized leader in the Transmedia community in New York City and is the Co-founder and CTO of the non-profit, immersive storytelling community StoryCode. His work at StoryCode has created a vibrant cross-discipline community of innovative creators. Mike’s background spans design, programming, advertising, sales/fund-raising, production, and filmmaking. As a Creative Technologist he founded and led a number of technology companies including user interface design firm Nascent State, digital agency BASIK, pen-source Flash technology Frontal, and interactive film company Murmur. 76 million “Heroes” fans around the world know the name Tim Kring, and tuned in weekly across broadcast TV, cable, online and mobile to follow plotlines about ordinary people who discovered they possessed extraordinary abilities. As part of the most watched program in the history of television, “Heroes Evolutions” set the bar high for multiplatform storytelling when it won the Primetime Emmy® for Interactive Television in 2008. In April, 2010, Kring received the Pioneer Prize at the International Digital Emmy® Awards in Cannes in recognition of his industry-leading creativity in multi-screen storytelling. During the summer of 2010, Kring teamed with Nokia to launch the “Conspiracy For Good”, a global movement that allows the audience to become part of the story to create positive real world change. The pilot engaged an audience online, through Alternative Reality Gaming elements, Nokia mobile apps, and on the streets of London while incorporating charitable and social benefits with Room to Read and the Pearson Foundation. Through this unique blend of entertainment and philanthropy, “Conspiracy For Good” delivered funding to build five school libraries in Zambia, more than 10,000 books to stock the library shelves, and created 50 new scholarships for deserving schoolgirls. Kring’s “Conspiracy For Good” was nominated for an International Digital Emmy® Award this past April in Cannes. March of 2012 saw the premiere of Kring’s latest TV series, the critically acclaimed "Touch" for FBC and 20th Century Fox studios, starring Kiefer Sutherland. This past May saw the online premiere of “Daybreak”, an interactive, multi-platform series presented by AT&T in association with BBDO. Tim is currently in production on the second season of “Touch”. Amber J. Lawson is a partner in The Opportunity Management Company merging Technology & Content. Prior to joining TOMC Lawson led AOL as VP/ Head of Video Programming & Originals. Lawson's global content influence shaped and branded Babelgum Comedy as Publisher. Her digital leadership and forward thinking resulted in her nomination for 2010 PGA Top 25 in Digital and her receipt the 2011 NATPE Luminary Award. Lawson founded Transforming the World Through Comedy the first multi-platform global live streamed stand up comedy event benefiting a catalytic philanthropy. Lawson is Chairman of the IAWTV Awards at CES and on the Academy of Television Arts & Sciences (Emmys) Interactive Media Peer Group Executive Council & Membership Working group Chair. Lawson sits on the board of Open Slate/ Outrigger Media, Attention Span Media, Social Media Week, LOCA and Picture Healing and is an active member of PGA New Media Council & Women of the Web. She is also foursquare mayor (and tends to rock down to) Electric Ave.
Don Le is a producer who worked on "The Resistance", co-produced with Starz and Sam Raimi's Ghost House Pictures. It has the distinct honor of being the first ever webseries to debut on television. After the TV debut, the series was unspooled as 8 episodes onto iTunes, Xbox Live, Amazon, Hulu, and the Playstation Network for purchase. He has also produced over 5 short films with actor Harry Shum Jr. (GLEE) including "3 Minutes" (an action sci-fi short that netted over 1 million views and front page of StarWars.com) and a series of comedic sketches with Wong Fu Productions. In 2011, he produced an LXD video intro for Fox's Glee tour and in partnership with Chevy. Currently, he produces content for companies like Indie POP! (Dev and The Cataracs), as well as a short film called "Already Gone" with headlining actors Shawn Ashmore (X-Men) and Harry Shum Jr.
Elan Lee is the Chief Creative Officer and Founder of Fourth Wall Studios. Lee heads the studio’s creative concepts from product development to brand identity. Lee began his career at the Microsoft Game Studio as the lead designer for the Xbox launch portfolio where he also directed the world’s first alternate reality game, The Beast for Steven Spielberg’s thriller A.I. : Artificial Intelligence. Today, he is considered one of the creators of the ARG genre, and he continues to influence next-generation entertainment as he speaks all over the world. As a co-founder and Vice President of Design for 42 Entertainment, Lee championed some of the most influential titles intransmedia entertainment such as I Love Bees for Halo 2, and Year Zero for Nine Inch Nails. Lee has won awards for Best Web Game of the Year, Best Advertising Campaign of the Year, and Best Idea of the Year. Alex LeMay is CEO, founder, and executive producer of The Shadow Gang, a new breed of entertainment studio that creates original media experiences for partners in film, television, publishing, gaming and more, using ‘Galahad,’ the studio’s proprietary, turn-key storytelling platform. LeMay himself represents the next generation of media producer. Over the last twenty years, LeMay has built a successful and diverse career by understanding the needs of traditional storytelling, branded content, and the development of digital technology. Jan Libby balances her innovative work as a Multimedia Storyteller/Experience Producer for Brands, Media Companies and Ad Agencies with her groundbreaking Indie Projects. Levi's, Scion, Coke, Ford, ABC Family, Undercurrent, 20th Century Fox, Neutrogena, Wieden + Kennedy and Discovery are just some of her Clients. Some of the indie titles she’s created or helped to create include Sammeeeees, Lonelygirl15 and GMD’s Eldritch Errors. Jan is Founder/Creator at Storeees, where she’s currently developing interactive and immersive storyworlds and the I-Fi App. Esther Lim is a well respected Digital Marketing Leader, Transmedia Producer, Social Media Strategist, and Game Analyst. She has over fifteen years of combined interactive agency and consulting experience creating digital, social media and transmedia storytelling programs for Fortune 500 brands. Esther is currently the Executive Director of Digital Experience at George P. Johnson, a global experience marketing agency, and producers of the alternate reality games, The Threshold and The Hunt. Prior to joining George P. Johnson, Esther founded The Estuary, a digital marketing agency working with Fortune 500 brands to develop new forms of multi-platform interactive engagement, social media, and community programs. Her projects include PIE Theory, Sun Microsystem’s alternate reality game, Cluetracker, ABC Family’s alternate reality game for the Kyle XY pilot, Verizon Surround/Verizon Presents, Verizon’s entertainment portal, community and concert series, and more. Esther is an active international speaker on transmedia storytelling, storyworld community development and co-creation, and social media analytics at SXSWi 2011, SXSW Digital Domain, 2012, X Media Labs: Bath and Perth, Kreative Asia, Murdoch University, Cinekids Professional and StoryWorld Expo + Conference. She also blogs for Girls in Tech and has been quoted by Forbes in articles on Women in Gaming, The Wire Magazine on Interactive Narratives, Digital Book World on Co-Collaborative Interactive Narratives and Social Media Today. Despite being advised that his brain would rot, Damon Lindelof spent the majority of his childhood watching television. After a brief flirtation with movies by way of a film degree from NYU’s Tisch School of the Arts, Damon hopped in his car and traveled west and eventually took a job as a writer’s assistant on Kevin Williamson’s ABC Drama “Wasteland.” Shortly thereafter, and the show was cancelled. Damon went on to write for “Nash Bridges” and then moved on to NBC’s new drama “Crossing Jordan”. Then Damon got “Lost.” Within twelve weeks of complete insanity, he and co-creator J.J. Abrams managed to make a ridiculously untenable and vastly expensive pilot for ABC that centered on the survivors of a plane crash in the South Pacific. Despite this, “Lost” won a Golden Globe and Emmy Award in its freshman season. Damon concluded “Lost,” after six seasons and still doesn’t quite understand what it all meant. A life long Trekker, Damon also is a producer on J.J.’s “Star Trek” reboot, which was released in May 2009. Damon is currently writing and producing the sequel to “Star Trek,” and wrote and produced the Sir Ridley Scott movie “Prometheus.” In his spare time, Damon also wrote this Bio. Geoffrey Long is a media analyst, scholar, and storyteller exploring transmedia experiences, emerging entertainment platforms and the future of entertainment as the Lead Narrative Producer for the Narrative Design Team at Microsoft Studios. He is an alum of the MIT Comparative Media Studies program, a FoE Fellow with the Futures of Entertainment community, and a co-editor of the Playful Thinking book series from the MIT Press. His personal site can be found at geoffreylong.com. An award winning documentary photographer - The Birth of Coffee published by Random House and writer - The Mercuri Cycle - with a diversity of projects both in development and production Lorenzetti has wide variety of professional and academic credentials. He has navigated many creative careers, from owning an advertising agency, to serving as executive editor of a magazine, working for public television as an investigative reporter and serving as a White House Staff intern. A frequent speaker throughout the entertainment industry, he is the Contributing Editor for Entertainment Innovation for Moving Pictures Magazine and the Director for Transmedia Research and Initiatives for the Florida State University College of Motion Picture Arts. He lives in Austin, Texas and Three Forks, Montana. Atley Loughridge is currently producing Lance’s course Building Storyworlds at Columbia University. She recently joined Reboot Stories, a company focused on harnessing storytelling, technology and design science to form an innovation engine for digital literacy, cross-generational learning and social change. Mashable recently named Reboot Stories “One of 5 Social Good Startups You Should Know Right Now.” She produced DIY Days NYC, partnering with the Buckminster Fuller Institute and premiering beta app Interactive Earth. For Robot Heart Stories 1.0, Atley was the “voice of Laika” as a writer. She also recently completed writing/directing/producing feature film The Cold Winter. Before Reboot, she worked at OgilvyEntertainment on bringing Fuller’s World Game into the 21st Century as well as writing branded content for IBM, BP and DuPont. On the account side, she associate produced Lenovo’s “For Those Who DO” campaign’s debut film with heavy metal artist Tristan Shone. Prior to this, she left NYU TischAsia’s graduate film program to start a Cell Phone Film School for student and orphaned girls in the outskirts of Manila. As a Northwestern Performance Studies undergraduate, she originated the role of Medea in Argonautica for Tony Award-winning theatre director Mary Zimmerman. Rhonda K. Lowry is vice president, emerging Social Web technologies for Turner Broadcasting System, Inc. (TBS, Inc.). Lowry is a media and technology strategist and the company’s resource for understanding emerging digital and Social Web technologies and behavioral trends. Rhonda helps Turner businesses understand and employ social technologies to extend and enrich the media experience. She was recently named to Cable Fax’s Digital Hotlist, and has been listed on Cable World’s Top 50 Women in Cable for several years. Essentially and by qualification, Jess McCulloch is a Chinese language educator in Melbourne, Australia. However, that description is complicated by the fact she is not currently working with kids in a school, but rather being paid by Chinese Teacher Training Centre at The University of Melbourne to develop narrative based learning experiences for kids (which is a very fun job). This is not only because these experiences are highly engaging for the kids, but because they can also be used as a way to show teachers how to approach the teaching of foundational elements of Chinese in a different way. Her head is currently very full of this idea of using an immersive narrative as a learning tool and she has taken it so far that she is currently also known as Agent 42, sent by the Chief of Missions to recruit secret agents for The Black Line Mystery, where the key to saving the community from The Doom of Not Knowing is none other that the most complicated Chinese character known to mankind. Of course. Jess is also currently working with a lost ghost and will soon be contracting the talents of some immortals with special powers. Maureen McHugh has published four novels and two collections of short stories. She’s been writing in the transmedia field since 2003. She was a writer on I Love Bees and Year Zero. She is a partner at No Mimes Media. She works as a writer at Fourth Wall Studios, a company creating multiplatform, interactive, original content—stories that come to the audience the way the world does. Darren Milligan is the designer and director of digital media projects at the Center for Education and Museum Studies at the Smithsonian Institution in Washington, D.C. There he produces print and digital learning resources, manages social media initiatives, and directs websites including the online platform for educators at the Institution, SmithsonianEducation.org. He also is producer and art director of the teacher magazine, Smithsonian in Your Classroom, distributed to every primary and secondary school in the United States. In 2010, Darren, in collaboration with His Holiness the 14th Dalai Lama’s Science for Monks program, art directed the exhibition The World of Your Senses, a collaboration between the Library of Tibetan Works and Archives, the Exploratorium, and the Smithsonian. Prior to the Smithsonian, he developed digital citizen-science programs and online mentoring communities at the nonprofit Purple Martin Conservation Association. Darren is a member of the International Academy of Digital Arts and Sciences, the American Association of Museums Media and Technology Committee, and serves on various Smithsonian committees focused on education and digital media strategies. Mike has been intimately involved in the creative development of every project that has come through Campfire's doors. From Beta-7 for Sega and True Blood for HBO to Frenzied Waters for Discovery, he's led work that has been awarded top honors at the One Show, Clio, Mixx, ad:Tech, and Addy awards. A vocal force in the world of transmedia storytelling, Mike has spoken at many prestigious events, including Futures of Entertainment at M.I.T. and SXSW Interactive. Prior to co-founding Campfire, Mike was a co-creator of The Blair Witch Project, a movie that changed the way marketers approached the Internet. Before that, he worked at the Florida Film Festival for five years, where he did everything from selling tickets to acting as program director. Mike graduated from the University of Central Florida with a BA in Motion Picture Technology. Mauricio is one the founders of The Alchemists, Entertainment Group responsible for building original transmedia narratives and content to clients like Coca-Cola, Petrobras, TV Globo, CW, Elle Magazine, NFL, Nextel and the Brazilian Ministry of Education. He was responsible for bringing the concept of transmedia storytelling and leading innovators in the field to Brazil and implement the Transmedia Communication Department for Globo Television (4th network in the world). Before founding The Alchemists, was involved in convergence, innovation and content projects for clients brands, TV and movie studios. Mauricio was the first Latin American to participate and speak at the Futures of Entertainment conference at MIT. He was the Latin American jury member at the Festival of Media in Valencia (Spain) and is a member of Futures of Entertainment Consortium. Alison Norrington is an English author, playwright and journalist, and founder of storycentralDIGITAL. She consults to publishers, broadcasters and authors globally on transmedia strategies, participative experiences, production, architecture and planning, and utilizing social media. Alison has written for WIRED magazine on transmedia publishing and runs various transmedia workshops and boot camps in London, New York and Europe. She commenced her practice-based PhD in January 2009 researching Transmedia Storytelling in Publishing, and has presented at a variety of conferences, including Digital Book World, TOC (Tools of Change in Publishing) and others. President Bill O’Dowd, is one of the world's leading entertainment companies specializing in children’s and young adult live-action programming. Mr. O’Dowd enjoys a solid reputation as an Emmy-nominated producer, international distributor, and financier of quality television and digital programming. Dolphin’s work spans across entertainment genres from movies and mini-series to sitcoms and drama series. Current credits for Mr. O’Dowd and Dolphin include the one-hour teen drama series Tower Prep, which premiered on Cartoon Network in the fall of 2010, What’s Up, Warthogs!, a half-hour tween sitcom currently airing on Family Channel Canada, and AIM HIGH, a digital series staring Jackson Rathbone and Aimee Teegarden. Aim High, produced with partners Warner Bros and McG, earned a Writers Guild of America Nomination after its online debut in 2011. Currently, Dolphin is producing premium digital properties including Cybergeddon with CSI creator Anthony Zuiker and The Red Book with world-renowned director John Woo. Past television series credits for Mr. O’Dowd and Dolphin Entertainment include serving as Executive Producer of Nickelodeon hit series Zoey 101 (Primetime Emmy-Award nominated) and Ned’s Declassified School Survival Guide, as well as Nickelodeon's first-ever musical, Spectacular!, starring Victoria Justice (Zoey 101), which was Nickelodeon’s highest rated TV movie to date. Mr. O’Dowd’s desire to provide quality content for kids and protect children online led to the founding of Dolphin Digital Media in 2008 and numerous speaking engagements since then. In 2010, Mr. O’Dowd was a Presentation Speaker at the 2010 Kidscreen Summit, the children’s entertainment industry’s most important international annual event. Mr. O'Dowd was the Keynote Speaker at the 2009 "What Teens Want" conference, a leading teen media conference in North America sponsored by Adweek, Brandweek, Billboard, The Hollywood Reporter, and The Nielsen Company. Also in 2009, Mr. O’Dowd was a panelist at The Film Finance Forum East presented by Winston Baker in association with Variety. Mr. O'Dowd graduated with honors from Harvard Law School, has received a master's degree in modern European history from Creighton University, and was named 1st-Team Academic All-American by USA Today while an undergraduate at Creighton. Keith Oatley is a professor emeritus at the University of Toronto, a psychologist, and a novelist. His research is on human emotions, and on the psychology of fiction. He is the author of seven books on psychology, including Emotions: A brief history, Such stuff as dreams: The psychology of fiction and The passionate muse: Exploring emotion in stories. His first novel, The case of Emily V., won a Commonwealth Writers Prize for best first book. His most recent novel is Therefore choose. He is a Fellow of the Royal Society of Canada and, with four colleagues, he publishes and writes for the weekly online-magazine-blog OnFiction. With more than ten years of experience in the field, Steve Peters is one of today’s foremost trailblazers on the transmedia storytelling and alternate reality games landscape. Peters currently serves as VP of Experience Design, for Fourth Wall Studios, a studio dedicated to creating next generation digital content and connected entertainment experiences. Most recently, he was the Lead Experience Designer for Fourth Wall Studios’ Dirty Work; this project has been nominated for a Primetime Emmy® for Outstanding Creative Achievement in Interactive Media – Original Interactive Television Programming 2012. Peters has been a key player in developing and designing some of the biggest and most successful interactive engagement campaigns in the world, including The Dark Knight’s “Why So Serious,” The Watchmen’s “Six Minutes to Midnight” Nine Inch Nails’ Year Zero album and “Dead Man’s Tale” for Pirates of the Caribbean II: Dead Man’s Chest.> In 2002, Peters founded the Alternate Reality Gaming Network. He has been honored with numerous awards for his work including the Cannes Lions Grand Prix, One Show Entertainment, and Webby Awards. Peters is often invited to keynote at conferences to speak on panels, and has been published in books and articles as a prominent leader on the subject of transmedia storytelling, around the world. Prior to joining Fourth Wall Studios, Steve held several senior management and experience design positions at companies including 42 Entertainment and No Mimes Media, which he cofounded. 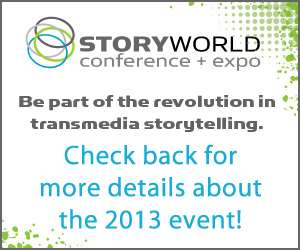 In addition, he co-hosts StoryForward, a bi-weekly podcast about transmedia entertainment and the future of storytelling. Louis-Pierre Pharand (LP) heads Ubisoft Montreal’s Transmedia Group: Ubiworkshop. The group develops persistent narrative products with hugely successful brands such as Assassin’s Creed. LP also holds the position of Brand Creative Director developing new brands and seeking new markets & business opportunities for the group. For LP, content is key, whatever the medium, storytelling must be at the core of the experience. Ubisoft Montreal is the largest videogame development studio in the world with over 2,100 employees. The studio is responsible for developing among others, the Assassin’s Creed series, Tom Clancy franchise and the highly anticipated Watch Dogs. As a primary shaper of AMCtv.com's editorial voice, Drew Pisarra has fanned the widespread online appeal of AMC megahits The Walking Dead, Mad Men, Breaking Bad, Hell on Wheels and The Killing by developing official show sites that have consistently emerged as the ultimate fan sites for those series as well. From Mad Men's various personality tests to The Walking Dead's multimedia magazine on the show's iconic zombies, Pisarra has guided the creation of digital features so unique and attention-grabbing that they've extended the reach of AMC programs well beyond what's normally expected from supporting online content. Robert Pratten is CEO and Founder of TransmediaStoryteller.com a service for interactive storytelling and cross-platform audience engagement. He has more than 20 years experience as an international marketing consultant working with producers, writers, game developers and leading brands such as Ericsson, advising them on business development, market positioning, transmedia storytelling, social media strategy and distribution. Robert has also written, produced and directed two award-winning, critically acclaimed feature films - London Voodoo (2004) and Mindflesh (2008) - and produced the successful transmedia crime mystery Lowlifes.tv. He is a mentor for StoryLabs an organization of leading international multi-platform and transmedia creators dedicated to the education and mentoring of storytellers. Robert has established himself as a thought-leader in the field of transmedia storytelling through major contributions to the evolving field in the areas of new business models, development processes and documentation. He has written for Indie Slate magazine and Culture Hacker and presented at various conferences including Digital Hollywood and SXSW Interactive. He is the co-creator of the Transmedia Talk podcast and author of the book Getting Started in Transmedia Storytelling: A Practical Guide for Beginners. As former head of new media r at 50 Cent's G Unit and co-founder of ThisIs50.com, director and technology entrepreneur Chris (Broadway) Romero likes to think not only outside the box, but literally and laterally. Cory is an Interactive Performance Designer for Walt Disney Imagineering, Research and Development . Cory’s responsible for intiating / designing interactive experiences using new types of performance and technology that allow for Disney guests to feel a deeper connection to our parks, cruise lines and resorts worldwide. Currently, Cory’s work is focused on bringing new stories to life both within the parks and beyond through the Narrative Experiences Portfolio. Marc Ruppel is a Program Officer with the National Endowment for the Humanities. He completed his Ph.D. at the University of Maryland College Park, where he wrote a dissertation that applies social network visualization as a tool in understanding audience, media and narrative in transmedia fictions. Marc has worked on projects ranging from the NSF-funded educational Alternate Reality Game The Arcane Gallery of Gadgetry (http://www.arcanegalleryofgadgetry.org/) to Reboot Stories Robot Heart Stories (http://www.robotheartstories.com/), and has published several articles on transmedia practices in journals such as Convergence: The International Journal of Research into New Media and the International Journal of Learning and Media. As a designer at Walt Disney Imagineering Research & Development, Amber Samdahl works to create tools, technologies and techniques to tell new stories and create innovative entertainment experiences for the Disney Theme Parks. Amber loves to design and build new forms of interactive entertainment, with a focus on games and social media. She is particularly interested in creating experiences that connect people to each other through play. Before Imagineering, Amber started her career in interactive entertainment by studying Computer Science and Film at the University of Wisconsin-Madison and then pursuing a Masters degree from Carnegie Mellon University's Entertainment Technology Center. Josh Sawyer has been working in the game industry since 1999, when he started his career as a designer on the Icewind Dale series at Black Isle Studios. Since 2005, he has been working at Obsidian Entertainment and has contributed to Neverwinter Nights 2, Alpha Protocol and was the project director and lead designer on Fallout: New Vegas. Much of his development background has involved adapting and updating classic RPG rule systems for contemporary gamers and gaming platforms. A Wisconsin native and graduate of Lawrence University, Josh currently resides in Santa Ana, California with his girlfriend and cats. Andra Sheffer is the Executive Director of three private Funds supporting the Canadian digital media, television and film industries: the Bell Broadcast and New Media Fund which invests in Canadian television programs and their associated interactive digital projects; the Independent Production Fund which invests in drama series created for digital platforms; and, the COGECO Program Development Fund for the development and production of television drama. She was the founding Executive Director of the Academy of Canadian Cinema and Television producing the annual Genie and Gemini Awards. She lectures on the business of television and new media and is the editor of publications about the business of tv and digital media production. Lee Sheldon is Associate Professor and Co-Director of the Games and Simulation Arts and Sciences program at Rensselaer Polytechnic Institute. He has written and designed over two dozen commercial and serious video games alternate reality games and MMOs. Most recently Lee was design consultant and lead writer on Game forge’s casual MMO, Star Trek: Infinite Space; lead writer on Zynga’s Facebook game, Indiana Jones Adventure World; and is currently lead writer on a new Kinect game for Harmonix. Before his career in games Lee wrote and produced over 200 popular television shows, including Star Trek: The Next Generation, Charlie's Angels, and Cagney and Lacey. As head writer of the daytime serial Edge of Night he received a nomination for best writing from the Writers Guild of America. Lee has been twice nominated for Edgar awards by the Mystery Writers of America. In 2011 Lee's book, The Multi player Classroom: Designing Coursework as aGame was published by Cengage Learning. His book Character Development and Storytelling for Games is required reading at many game developers and in game design programs at some of the world's most distinguished universities. A new edition was published in 2012.Lee is a contributor to several other books on video games including Well-Played2.0, Writing for Video Game Genres from the IGDA, Game Design: An Interactive Experience and Second Person. He is cited in many publications; and is a regular lecturer and consultant on game design and writing in the US and abroad. Lee began his academic career in 2006 at Indiana University where he taught game design and screenwriting.At IU Lee first instituted the practice of designing classes as multi player games; worked on the serious games Quest Atlantis and Virtual Congress; and wrote and designed the alternate reality games The Skeleton Chase and Skeleton Chase 2: The Psychic funded by the Robert Wood Johnson Foundation; and Skeleton Chase 3: Warp Speed funded by Coca-Cola. He continues as creative director of the narrative-driven MMO London town;is head of the team building the Emergent Reality Lab at Rensselaer, an augmented reality space for research and education; and has just completed an alternate reality game teaching Mandarin and Chinese culture. Jacob Shwirtz is Director of Social Viewing for Viacom Media Networks. He serves as expert on social viewing and social media for networks including Nickelodeon, MTV, VH1, CMT and Logo, as well as COMEDY CENTRAL, Spike TV and TV Land, blending strategy, business development and product management to maximize the company's response to emerging trends. Previously, Shwirtz built more than 30 digital communities for the various shows of MTV and VH1. Shwirtz also brings an entrepreneurial approach to VMN, as the creator of TweetBookz, a service for Twitter users that creates high quality coffee table books of tweets. Gunther has spent the majority of his 18-year career exploring the intersections of data and storytelling. He has helped create a dozen proprietary platforms and an array of digital and social media tools. The social media monitoring software he helped develop, eCairn, won a Forrester Groundswell Award in 2011, and his work on previsualization software, 3D Pipeline, has won several military and gaming awards. The most recent platform he co-developed, Heardable, is a business intelligence suite that indexes critical data on over 15M brands across the globe, fueling competitive insights for companies like UBM, Intel, P&G and a host of media companies. Gunther speaks all over the globe on topics ranging from digital convergence to emerging markets; he has keynoted alongside of luminaries such as Sir Richard Branson, Guy Kawasaki, Arianna Huffington and Jonathan Harris. Kenneth N. Swezey focuses on transactional counseling in copyright, corporate, digital media, entertainment, publishing and other intellectual property and commercial matters. He has substantial experience representing companies and individual clients in the emerging fields of digital media, social media and transmedia. He represents clients ranging from broadband television companies, well-known authors, publishers, entertainers, literary estates, visual arts agencies, as well as not-for-profit organizations in the areas of intellectual property and entertainment. Scott Trowbridge loves dreaming up new and unique ways to entertain people! Ranging from Film, Theatre, Interactive and Transmediaexperiences to state of the art Themed Attractions, Scott has produced, directed and integrated entertainment projects all over the world. As the Vice President of Creative / R & D for Walt Disney Imagineering, Scott now looks for opportunities to combine various media, technologies and narrative forms to tell new stories and create innovative entertainment experiences. Scott started his career in the worlds of Film and Theatre, (Scott graduated from USC's film school), and continues to drive innovation through his oversight of the both the Blue Sky Creative and New Technology development groups for Walt Disney Imagineering. David Varela is a British writer and producer with experience in a huge range of media. He has written for film, theatre, radio and games, creating some of the world’s most exciting transmedia projects along the way. These include Perplex City (for Mind Candy), Lewis Hamilton: Secret Life (for Reebok) and Xi (for Sony PlayStation). His most recent production was The Seed, a transmedia story combining four plays, a treasure hunt and online characters, as part of the London 2012 Cultural Olympiad. He is currently developing an original drama series for Channel 4. Scott Walker likes playing in the collaborative sandbox of commercial entertainment, co-creating value with audiences, and advocating transmedia storytelling. He primarily achieves this as President of Brain Candy, LLC , a company he co-founded in 2008 to explore new models for participatory entertainment. The company's first internally developed participatory property, Runes of Gallidon, was officially launched in 2009. Scott is also active in the transmedia and participatory community. He co-founded Transmedia Los Angeles in December of 2009, co-founded a transmedia advocacy group in February of 2011, and recently launched Shared Story Worlds, a site devoted to collaborative entertainment properties with participatory elements. Scott has spoken often about participatory entertainment and transmedia. He’s been a panelist at Digital Book World 2011, a featured guest on the Transmedia Talk podcast, and a guest speaker at Disney’s Imagineering R&D. Scott’s professional career spans several industries and includes the successful launch and sale of Capital West Finance, Inc, a finance company. MARK WARSHAW is a writer-producer-director. 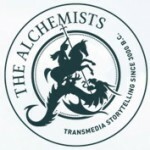 In 2008, he co-founded The Alchemists, an entertainment company that specializes in transmedia storytelling. The company produces content that forms a symbiotic relationship between story, fans and brands over multiple media platforms. Before launching The Alchemists, Warshaw developed and produced the Emmy-winning transmedia experience for the TV series Heroes. Prior to that, he spent six seasons on the TV series Smallville where he produced all the show’s transmedia content. Mark has told stories for Warner Bros, NBC, Coca-Cola, Verizon, Volkswagen, Elle Magazine, Nissan, Marvel Entertainment and the NFL. In his role as senior story developer at Blizzard Entertainment, Inc., James Waugh oversees the creation and development of narrative, character, world backstory, and dialogue for novels, comic books, cinematic and filmic content, along with game writing support, across Blizzard's popular Warcraft, StarCraft, and Diablo universes.He also writes comics, new media, and short fiction for those universes, and organizes Blizzard’s Writers on Writing program, where prominent writers in various media are brought in to discuss aspects of their craft. Waugh started at Blizzard in 2008 as a story developer. Prior to arriving at the company, he spent eight years in the film industry as a development executive, screenwriter, and story analyst, where he worked on a wide variety of movies and television shows and earned several awards and honors. Waugh holds a bachelor's degree in creative writing and classics from Florida State University and a master's degree in screenwriting from the University of Miami. In addition to playing video games, his hobbies include studying mythology and Roman history, doing karaoke, and consuming stories in every possible form. Lance Weiler is a critically acclaimed award winning writer/director. He’s been recognized as a pioneer because of the way he makes and distributes his work—WIRED magazine named him “One of Twenty-Five People Helping to Re-Invent Entertainment and Change the Face of Hollywood.” He has successfully self-distributed his films The Last Broadcast and Head Trauma to more than 20 countries while grossing over 5 million dollars in the process. The Last Broadcast, which he co-wrote and co-directed, became the first film to be distributed digitally to theaters in 1998. Always interested in experimenting with new ways to tell stories and reach audiences, Lance developed a cinema ARG (alternate reality game) around Head Trauma. More than 2.5 million people experienced the game via theaters, mobile drive-ins, phones and online. In recognition of these cinematic gaming innovations, BUSINESSWEEK named Lance “One of the 18 Who Changed Hollywood.” Others on the list included Thomas Edison, George Lucas, Steve Jobs and Walt Disney. Matthew Weinberg has been the President of Dare To Pass since March 2009, where he and partner, Anthony E. Zuiker (Creator and Executive Producer of the CSI franchise), have focused on developing scripted and unscripted programming under their ABC Studios first look deal. He is also responsible for any New Media and Feature Film development. Prior to Dare To Pass, Matthew served as Head of Management (writers and directors) for more than 8 years at Guy Walks Into A Bar. He was also responsible for developing and producing both Feature Films and Television programs. Brent Weinstein is Head of Digital Media at leading talent and literary agency UTA, where he helped form the department in 2003 to oversee the agency’s digital practice areas, including online entertainment, video games, social media and digital consulting. Weinstein leads the department’s team of dedicated digital media agents to identify and evaluate opportunities for UTA clients: actors, writers, directors, producers, interactive designers, transmedia producers and recording artists, in addition to many business-to-business and consumer-oriented technology and corporate clients ranging from venture-backed start-ups to Fortune 500 companies. Weinstein, with UTA co-founder Jeremy Zimmer, also formed UTAOnline (www.utaonline.net), a broadband division that finds and represents the next generation of web-based content artists. While at UTA, Weinstein has made digital media deals for many accomplished artists and companies in both traditional and digital entertainment. Brent rejoined UTA in 2009 after spending the previous two years as the CEO of 60Frames Entertainment, a venture-backed startup focusing on original programming for digital platforms. 60Frames, named one of OnHollywood’s Top 100 Companies in 2008 and 2009, developed premium programming and partnerships with Warner Bros, NBC, MSN, Sony, HBO, MTV, and brands including McDonalds, P&G and Sprint. In 2008 Brent was named one of Variety’s 10 Innovators to Watch and named to The Hollywood Reporter’s Next Gen list. Prior to joining UTA, Weinstein practiced corporate and business litigation in Los Angeles and Irvine, California. He is a graduate of the University of Southern California, where he earned a Bachelor’s degree in Business Administration, and the University of San Diego School of Law. Bob Weis is Executive Vice President of Walt Disney Imagineering and Creative Portfolio Leader for the company’s Shanghai Disneyland Resort Project.In this capacity Weis leads an international and multi-cultural team of Imagineers and consultants in the development of all creative and design aspects of the guest experience including the new state of the art theme park and resort. Weis recently completed a four-year expansion of the Disney California Adventure Park, which included The Voyage of the Little Mermaid, World of Color, and culminated in the highly successful openings of the new Buena Vista Street and Cars Land for summer of 2012. Previous projects at Disney include leadership over creation of the Disney Hollywood Studios WDW, Tower of Terror, and conceptual design for Tokyo Disney Seas. Weis is recipient of three TEA Awards. His work was recognized on the BattleStations21 Training Simulation project for the United States Navy, and for the Adventures In Movie Making and CSI: The Experience traveling exhibits. Weis’s work outside the Disney parks includes extensive work in museum exhibits including his collaboration with Richardo Legoretta on the new Fort Worth Museum of Science and History. His feature film and documentary projects have been shown on Lifetime, and American Public Television. Chief Creative and Marketing Officer of BroadLit and a partner of Broadthink, is a media expert and strategist who creates and manages design, marketing, and web development for various media and publishing clients. She ran her own marketing and publishing consulting business for 8 years after an extensive career in journalism during which she managed both marketing and editorial duties at The Chicago Daily News and The Chicago Sun Times. She has created and sold television shows to ABC and HGTV and is also an expert in “affinity” marketing, creating worlds around travel, cars, business women and other enthusiasts. Chuck Wendig is a novelist, screenwriter, and game designer. He's the author of DOUBLE DEAD, BLACKBIRDS, and DINOCALYPSE NOW, and is co-writer of the short film PANDEMIC, the film HiM, and the Emmy-nominated digital narrative COLLAPSUS. He lives in Pennsylvania with wife, taco terrier, and tiny human. For more than 35 years, Denise Weston has been developing unique, innovative entertainment attractions for families, creative gaming experiences, storylines, toys, dry and water-play concepts. With a focus on play and storytelling as a vehicle to take entertainment to its highest interactive and experiential level, her creations can be found at major theme parks and family entertainment facilities around the world. As a trained psychologist and "playologist" with more than 15 years of clinical practice and research, Denise has provided services for families and teachers using play as a medium of communication and creation. Her extensive background in the expressive arts and recreation combined with her training in play theory provides her with a unique perspective in planning family fun and interactive entertainment. Her achievements include the award-winning Foam Factory Attraction for SCS Interactive, a multi-level foam-ball play experience; a four-acre Loony Tunes park for Six Flags Ohio; children's play and being the lead exhibit developer for the Baltimore Children's Museum, Port Discovery. At Creative Kingdoms, a company she founded in 2000, she holds 40 patents and developed the world’s first live action video game, TheGreat Barn, receiving the THEA Outstanding Achievement Award and the Best Family Entertainment Attraction in Atlanta distinction. Over the last 10 years, Denise brought one of her greatest inventions to life--MagiQuest-a live action story-based game where over 3 million families have played in one of the 18 locations waving real magic wands as they become accomplished wizards in a video game come to life. Her latest developments in storytelling include creating Live Action Mobile Apps using Augmented Reality and other forms of interactive technology to turn personal devices into “Pocket Playgrounds” and “Adventures in your hands”. Denise has written three books including Kid-Friendly Parenting with Deaf and Hard of Hearing Children: A Treasury of Fun Activities toward Better Behavior,Playful Parenting: Turning the Dilemma of Discipline into Fun and Games, and Playwise: 365 Activities for Building Character, Conscience, and Emotional Intelligence in Children. Denise also served on Hasbro's Advisory Board and provided consultation on the development of toys, baby products, and software programs for Playskool and Hasbro Toy Group. Denise is, most importantly, the proud mother of three children who constantly challenge her for the next great idea for families. Aaron Williams is Co-Founder and CEO of SocialSamba, the leader in social storytelling and the award winning platform behind the hit Social TV productions Hashtag Killer with USA Network and Teen Wolf: The Hunt with MTV. Prior to founding SocialSamba, Aaron spent 15 years leading large-scale social networks including the Java Community Process at Sun Microsystems and the Enterprise Services Community and Collaboration Workspace as a Vice President at SAP. Aaron also previously founded Picotent, an interactive TV company in 2000, which worked with broadcasters around the world. Aaron has a MS in Computer Science from Case Western Reserve University. Young is the principal and creative director for Super 78, a creative design and production studio in Los Angeles that has developed and produced award-winning, branded entertainment and educational experiences for the most admired theme parks, attractions and museums around the world including SeaWorld Parks, Universal Studios, Busch Gardens, and the China’s largest theme park developer OCT. An award-winning director and visual effects supervisor, Young has directed hundreds of projects that include attractions, visual effects, commercials, video game cinematics, live action promos, award shows and theatrical experiences. Young creates with a passion for great story-telling and the use of cutting edge technology. He is a member of the Visual Effects Society, Producers Guild of America, and the Themed Entertainment Association (TEA), when Brent is not creating and designing he co-hosts the theme park industries most influential and informative podcast - www.theseasonpasspodcast.com. Jason Zada is an award winning multi-screen storyteller and director. Most recently he was responsible for the Emmy-Nominated cinematic personal experience ‘Take This Lollipop’, which has been seen by over 100 million people all over the world. The film gathered 13 million Facebook Likes, making it the fastest growing FB app of all time. This led Jason to pursue a variety of entertainment projects with major Hollywood studios, record labels and brands. Starting at an early age, Jason was attracted to non-traditional storytelling. Creating Super8 films, programming text adventures on his Commodore 64 and video games formed a strong foundation as both an avid geek and storyteller. During the 1990's Jason spent time telling stories in CD-ROMs and on the Internet. In fall of 2000, Jason started the digital advertising agency Evolution Bureau and over the next 8 years grew EVB into a 65-person, world-renowned agency. This led to the holding company, Omnicom, to acquire a majority stake in the company. As a commercial director, Jason has worked with some of the most prominent advertising agencies in the world, such as Weiden + Kennedy, Crispin PorterBogusky, Sid Lee, Leo Burnett, Saatchi & Saatchi, RPA, Y&R, Draftfcb, Kaplan Thaler and Grey on a variety of digital and broadcast projects. Jason is often asked to speak at a variety of industry events including Cannes, South by Southwest, Creative Review’s Click and FITC. Jason’s work has appeared inNew York Times, Forbes, Fast Company,Adweek, Shoot Magazine, Communication Arts, IndieWire, Contagious and a variety of other film and advertising publications.